Every year, there is a new darling of the digital world coming out of South By Southwest (SXSW). This year was no different, with the brand new live-streaming app Meerkat taking its place as the clear darling of the digital influencers at SXSW 2015. 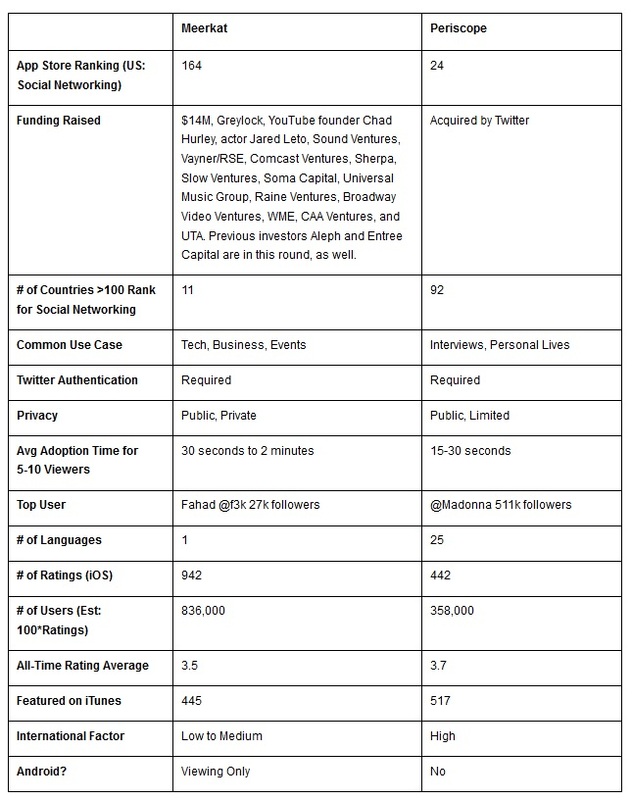 Despite taking a pretty significant blow just before the start of SXSW, when Meerkat’s access to Twitter was limited, their stats coming out of the event show that it didn’t slow their growth much. Whether Meerkat can survive the cold shoulder (and possible competition) from Twitter remains to be seen. In the meantime, here are a few of the more interesting Meerkat statistics I was able to dig up. As always, be sure to check back in the future as I will be updating this post as new and updated stats become available. Please note that some of these numbers are easier to find than others. A few of these stats come from Meerkat’s own reports, but some are based on news reports and not official company tallies. Basically, this is the best I can find and I don’t guarantee anything to be 100% accurate.